I have recently been asking myself why I continue to habitually waste my money on the likes of Grazia and LOOK magazines when 90% of them are taken up by either adverts or clothing trends I wouldn't be seen dead in. Here are a few trends that have cropped up recently that I detest. 1. 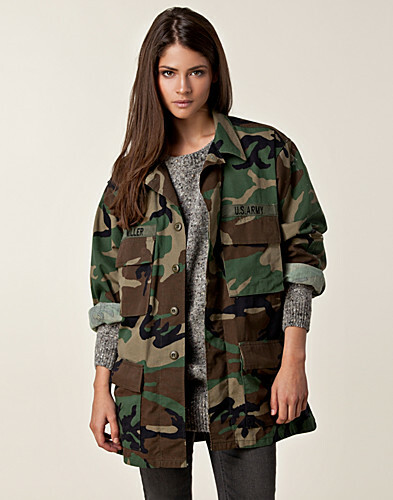 US army style military camouflage jackets are suddenly all the rage. What's next, orange jumpsuits..? 2. Heel-less wedges. WHY?! Someone please explain this fugly trend to me. Is it some sort of cost-saving plan to cut back on materials? 3. Wellington boots as.. boots. Call me old fashioned the but last time I checked, wellies exclusively belonged on the farm and in the rain. Now, all of a sudden Hunters have become a fashion statement and people wear them as a "fashionable" alternative to normal boots. 4. Men jumping on the fashion bandwagon. I know that it is really double standards of me to hold this opinion but I hate when men follow fashion and wear next level man-bags and LV belts. Ew. What the flip is he wearing..? Bingo! The shoes are naff but this is a nice outfit all round. 5. Panelled trousers. Those trousers with stripes down the sides that are supposed to make you look less fat. No offence or anything but an optical illusion is one thing and delusion is something.. a lot closer to reality. 6. 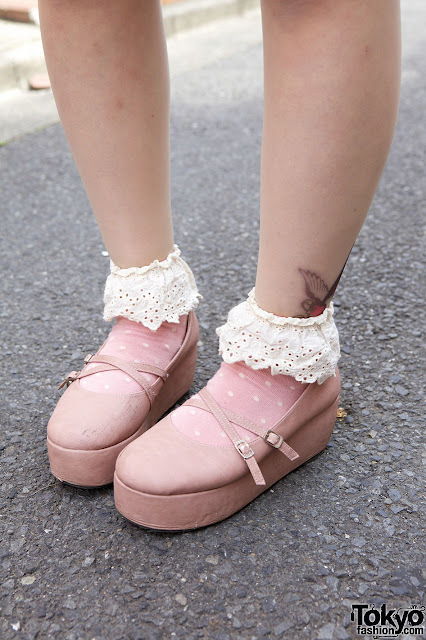 Fully grown women wearing frilly girls socks thinking it's cute. Excuse me while I go and vomit. lol. I agree with most not all of what u said, but even so I like that you tell us how it is lol. Every time im honest ppl get bloody offended! I must disagree on pic 5 though, I think he looks hot, love the outfit, glasses and his bag is an overnighter so all good. But totes agree on men with bum bags ewsies!! Whatever floats your boat though haha! Ahhh..I HATE the army trend. Too damn right, sista! Most of these I haven't seen. Does that mean Canadians are more fashionable? I hate the army stuff too and don't understand why Muslims keep wearing it. Like look at me I'm wearing the clothes that the army wears that kills my people.aren't I cool? Then they play black ops. ahh..you're killing yourself you know, right? clueless! C: Exactly! I really don't get this whole bigging up of army uniform :S It's really odd when you think about it. HijabRevival: Lol! Thanks man xD Glad you liked it! good posting. I love it..